According to the latest Worldwide Cost of Living Survey by The Economist, Hong Kong ranks 2nd tied with Zurich, Switzerland for cities with the highest cost of living. Hong Kong's cost of living has ranked higher than its ever been going from 9th to 2nd in just a year, largely due to the strength of its currency and growing economic power. The wages have risen in the country as well, leading to a rise in prices in almost all sector. Handpicked in Asia by foreign investors and multi-national companies, Hong Kong's demand for residential and commercial areas has never declined. Housing options in Hong Kong include duplex apartments (typically situated on the bottom floor of a small building), studio apartments (residential space with spacious living room, kitchen and bathroom) and townhouses (ideal for families). For its convenience, sophistication and proximity to important facilities, apartments continue to be the most favoured form of residence. Typically, a one-bedroom property comes with a built-in closet, bathroom and kitchen; a two-bedroom apartment includes a garage while a three-bedroom place offers a kitchen, lounge, laundry room and terrace. Luxury apartments normally include recreational and sporting amenities. The monthly rent will depend on the area you are looking and the size you will need, but generally can range from around 4000 HKD for a room in a shared apartment to tens of thousands for a large home in a good neighbourhood. Hong Kong Property Law stipulates that all land area belongs to the government, meaning that real estate is held under leasehold title. Thus, buyers sign an agreement for a lease effective from 50 to 999 years. The process of buying property in Hong Kong is based on common law and is similar to England. Upon agreeing to make a purchase, the buyer pays a 5% deposit and signs the purchase agreement; another 5% is paid, and a formal agreement is signed two weeks later. The 90% balance is normally payable 6 to 8 weeks after. For those who can get a mortgage approved, only 70% will be covered. Also, broker fees are between 0.5% and 1% of the price, lawyer's fees about HK$6,000 (US$772.56) and stamp duty between 0.75% and 3.75% of the property price. Property buyers are advised to scour all available spaces and seek help from real estate agents. Most agencies offer the service of lawyers to ensure negotiations and buying procedures are executed properly, and tax matters are carefully explained. The most popular agencies are Centaline and Midland. If you are unconvinced about feng shui principles, then buying a property unit overlooking a cemetery or any unit on the fourth floor may work to your advantage, as these are less expensive, as four is considered unlucky in feng shui. Since the Hong Kong government dropped regulatory controls within the telecommunications industry, consumers can save on mobile and overseas calls charges. Aside from this, the widespread usage of Internet and the stiff competition among the various wireless Internet providers result in lower charges. The electricity supply being used in Hong Kong is 200/220 volts and 50 hertz. The monthly bill for a 1,000 square foot facility can range from HK$1,000 (US$128.76) to HK$1,500 (US$193.15) for average usage. Your water bill will cost around HK$1,000 (US$128.76) per month for a 1,000 square foot premise. Gas is better known as Towngas in Hong Kong. The Hong Kong China Gas Company has monopolised the gas market. An approximate amount of HK$500 (US$64.38) is good for a 1,000 square foot property per month. 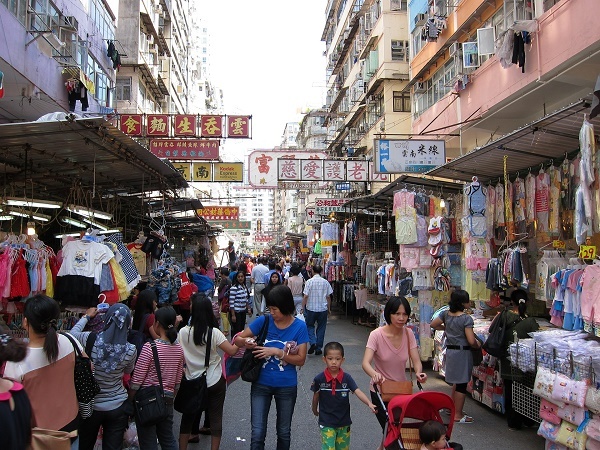 Hong Kong depends largely on imported goods from mainland China and other countries, making food and beverages costly. A fast-food meal costs around HK$30 (US$3.87) and a three-course dinner in a restaurant will set you back around HK$400 (US$51.55). The long list of public transport options available includes trains, trams, taxis, buses, ferries and Mass Transit Railway (MTR) and ensures that any expat can get around easily. Destinations are often listed in both English and Chinese but make sure to write down your destination in Chinese characters, especially for communicating with taxi drivers and for getting help from the locals. The MTR, the top choice for commuters, can be costly for short journeys at HK$4-HK$26 (US$0.52-US$3.35) with single journey tickets valid only on the day of purchase. To maximise your money, the Octopus Card costs HK$150 (US$19.32) and allows you to reload your ticket and offers discounts even on other forms of transport. The Kowloon-Canton East Railway (KCR) allows you to go sightseeing and travel to the border. KCR tickets range from HK$9 (US$1.16) to HK$33 (US$4.25). Make sure to take your passport with you. Tickets for the Light Rail (LR) costs from HK$4 (US$0.52) to HK$5.80 (US$0.75). Buses are available from 6 AM until midnight. The amount is indicated on the bus stop, and it is best to have the exact amount ready for the driver. Before deciding to start a career in Hong Kong, make sure to negotiate a salary that covers all basic needs and allows you to save up and invest. Working in one of the most expensive cities in the world can be daunting, but with ample research and management of your expenditure, it is a worthy home from home.